It’s entirely possible Montreal Canadiens forward Max Pacioretty won’t so much as get a chance to prove he’s still worthy of being team captain. 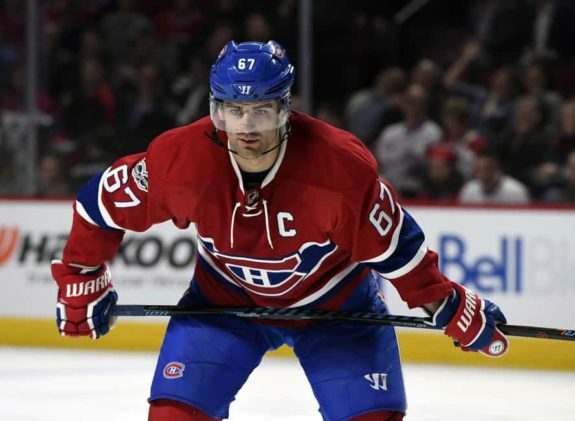 After all, based on rumors, general manager Marc Bergevin is looking to trade Pacioretty as soon as possible, maybe even before the season starts. Looking objectively at the facts, that would actually be for the best. Pacioretty is a perennial 30-goal scorer (excluding last season) with one year left under contract. Not only would the Habs like to avoid losing him for nothing, but, considering all signs point to the Habs tanking this season, they could also stand to lose any assets that put that apparent, ultimate goal in jeopardy. Pacioretty, who has led the Habs in scoring every season since 2011-12 until last year, is one such player. That his value is at an all-time low is of little consequence. Even if Pacioretty is coming off a mere 17-goal season. Even if the rest of the NHL is under the impression the Habs are desperate to move Pacioretty, thereby forcing them into a negotiating position of weakness. It doesn’t matter. Bergevin is going to have to move him sooner, rather than later. His hand has effectively been forced. 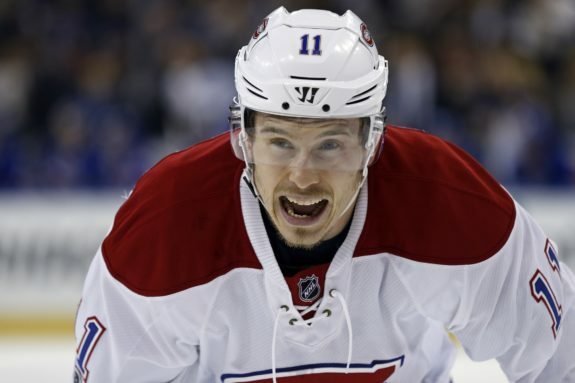 It’s really just a matter of time, which presents the organization with a dilemma: Do the Habs let him keep the captaincy or strip him of it, knowing full well he’s as good as gone? Worst Captain in Canadiens History? Even if you’re operating under the assumption that Pacioretty is, like ex-head coach Michel Therrien allegedly argued, the worst captain in the history of the franchise, the Habs have little to gain by taking away the letter. What good is it going to do, really? Except further plummet Pacioretty’s trade value? Because stripping players of the captaincy has clearly won the San Jose Sharks loads of Stanley Cups; When they stripped Joe Thornton of the “C”, they ended up missing the playoffs the following season. Again, the Habs aren’t trying to win this season (by all appearances, anyway)! Why try to shake things up, when they’ve got this losing thing down pat? Ultimately, look to No. 1 above for all the reason you need. The Habs are a team without a No.1 center, without a No. 1 defenseman, without a No. 2 defenseman and with a superstar goalie who needs to find his game again playing behind that mess. There isn’t a single person in that locker room right now that can possibly salvage something from that as the team’s new captain. That’s a fact and it’s a fact, because no single letter in the history of the alphabet has ever prevented a player wearing another jersey other than the captain’s from leading by example on the ice and speaking up when the chips are down. The Brendan Gallaghers and Shea Webers on this team had as much of a chance to turn last year around as Pacioretty and they failed as a group. It’s not all on Pacioretty, whose only responsibilities that set him apart from everyone else with two legs capable of standing up and giving a rousing speech in between periods? Speaking to referees on the ice and the media after games. That’s literally it. It’s a team sport. Every single member on that team carries as much responsibility as the next. That’s why, with a roster that’s largely unchanged from last year, the playoffs are inherently unrealistic. If Bergevin is actually serious about trying to make them, he should have bigger priorities on his table than pushing for a change in leadership. That’s because stripping one player of a largely symbolic position has about as much chance of turning this team around as… well, him. That’s been proven over the last four years. Think about it along these lines: By most accounts, this coming season is going to be bad, to put it mildly. Switching general managers before the end of next season likely isn’t going to happen, because why would owner Geoff Molson subject a new hire to the scrutiny from the fans and the media alike following what will likely be the team’s second consecutive non-playoff finish (third in the last four seasons)? No, he would ideally serve Bergevin up as the sacrificial lamb. This is his mess, right? Again, if you want to believe Pacioretty holds more responsibility than any other player in the locker room for whatever reason, the same argument holds true. You’re not going to want likely successor Brendan Gallagher to face the music after every soul-crushing defeat, just so Pacioretty can suffer the humiliation of being stripped of the captaincy, right? All it would accomplish is to make the Habs seem even more dysfunctional than they already do. And, to this team, appearances are everything. 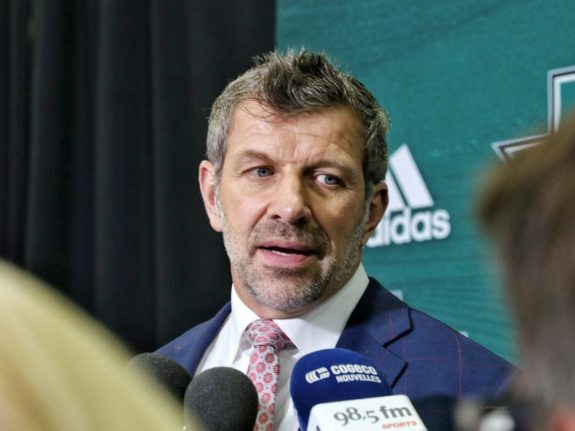 Not only are they saying they’re striving to make the playoffs when any legitimate, self-respecting contender would have bigger goals in mind, but Bergevin himself said he wasn’t looking to switch captains. Granted, Bergevin tells the truth like a meteorologist tells the weather. Nevertheless, his only play right now is to keep the status quo intact. That is until the right offer for Pacioretty comes along, at which point the best one will probably comprise some combination of picks and prospects, nothing that can help the team right now. Unfortunately, no captain, new or old, can for this coming season either… but, again, that’s for the best.